Hey everyone good news I got a Faustlet crisis averted thanks for your continued support. Btw today is my birthday. I turned 18. I got a mimosa and now my face is red. Macross Delta is delayed because I told Kyhz to go get In N Out. Deal with it. tfw when this isn’t macross. The sole thing I didn’t miss when gg hung up their spurs was Koda. I still don’t miss you, Koda. And I never will. YOU ARE NOTHING BUT A BASTARDS !!!!! Thanks for the update on the delay, I’ve heard things about this ep and won’t spoil myself with the raw. Have a happy birthday and enjoy yourself today! In N Out is a perfectly legit reason to delay anything though. OH SNAP. Y’ALL ARE ON THE BEST COAST? An In n Out as in SoCal pretty much? AWESOME. 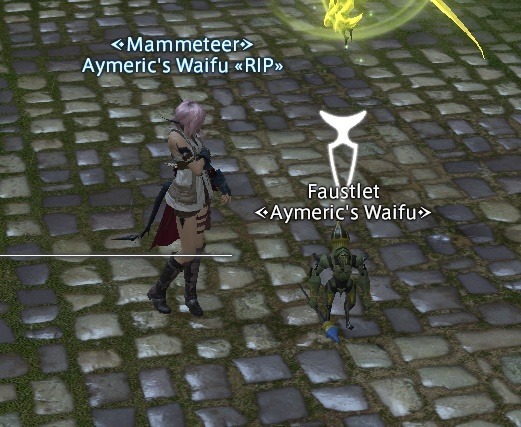 on Balmung server myself, have fun! Update: I got a 3×3 animal style and a chocolate shake.